The hydraulic pressure required is 2500 psi (13 tons/sq ft). The flow of hydraulic pressure is 11.6 GPM. It has a 10.5 gal. tank for the oil. 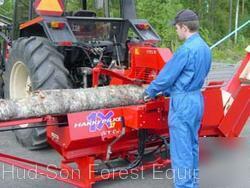 The power demand is 25-50 HP PTO. supersized) with Vendio Sales Manager.